HTC recently unveiled two new Windows Phone 7 devices: the Titan and the Radar. If you thought HTC made good-looking phones before, you have not seen anything yet. These two phones raise the bar for style, so much that they are perhaps comparable to the iPhone 4. And they pack a ton of features. I am usually not a fan of white phones, but the Radar is definitely an exception. HTC has crafted the back out of a single piece of metal, and the light gray color seems to complement the white front so perfectly. It is absolutely stunning. It features a somewhat sharp 3.8-inch display with a 800 x 480 resolution. But while we are talking about displays, I have to mention the Titan’s 4.7-inch display. Yes, that is not a typo. You might as well flip the device over and use it as a dinner plate. Those who like big displays will rejoice, but unfortunately it comes at a price. It too has just a 800 x 480 resolution, which is about 199 ppi — pathetic. Both phones come with a f/2.2 aperture camera and back-illuminated sensor. The Titan has an 8 MP shooter while the Radar has 5 MP and both capture 720p HD video. Either way, these devices are going to take excellent photos and videos. 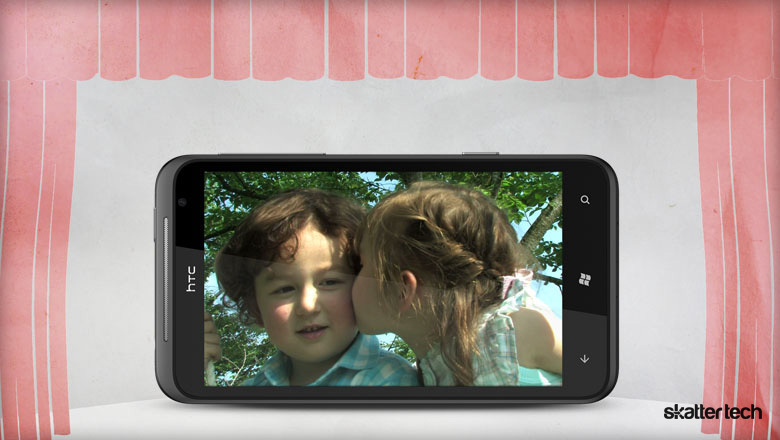 They also have a 1.3 MP front-facing camera for video calling purposes. I think best of all about these phones is the fact that they are not your typical large Android devices. These are Windows Phone 7 powerhouses. Microsoft has done a tremendous job with their latest operating system, and the numerous improvements can only mean they are hard at work perfecting it. 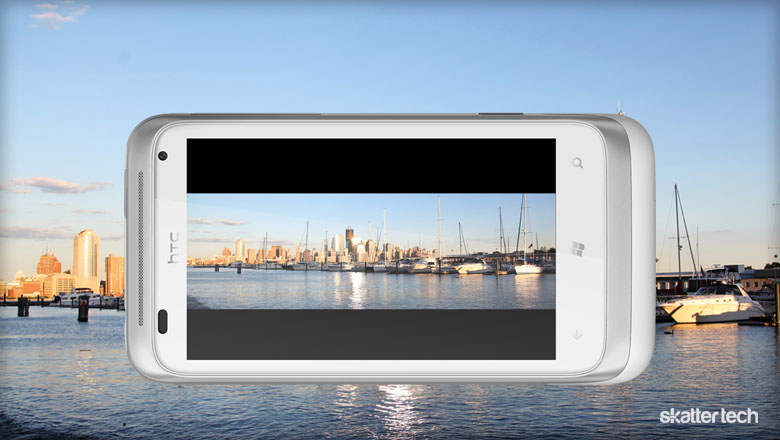 The name “Radar” for one of HTC’s new smart phones gets its inspiration from Windows Phone’s live tiles. They allow for quick tidbits of information to stream through your vision at all times without even opening any apps. HTC also loaded up each phone with their own apps such as HTC Watch for playing movies and TV shows. The Titan and Radar — two impressive new handsets from HTC — will be available in October starting in Europe and Asia. AT&T will begin carrying the Titan by the end of the year. Hopefully the Radar will float across seas some time soon as well.